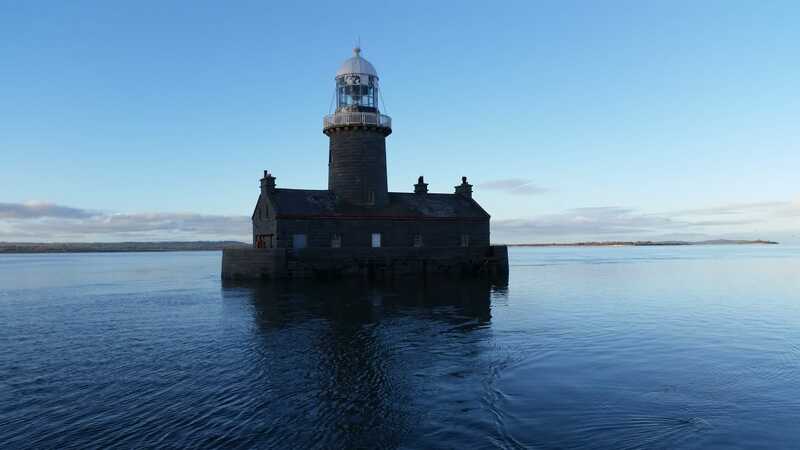 At the beginning of November Geomara were again commissioned by the Shannon Foynes Port Company to undertake a number of multibeam surveys along the Shannon. The surveys included; our ongoing condition surveys at the berths in Foynes, a check of the berths and micro topography across the dockfloor in Limerick, a continuation of seabed surveys of the critical areas along the navigation channel from Shannon to Limerick and a check of the berthing pocket at the Shannon airport aviation fuel jetty. The Shannon has a distinct lack of launch locations and is also a powerful highly tidal river estuary. This means it is crucial to properly plan the surveys and take advantage of suitable weather conditions. 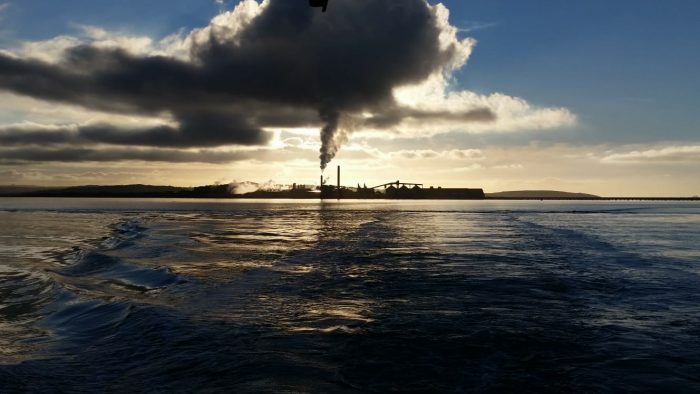 Early in November the conditions were ideal with little or no wind providing calm conditions along the estuary. We launched our survey boat at Foynes Yacht Club and made our way upriver passing Aughinish Jetty and the stark and gloomy looking Beeves Rock lighthouse. The jetty at Shannon was constructed in 1973 and allows aviation fuel to be fed directly to storage tanks within Shannon airport. 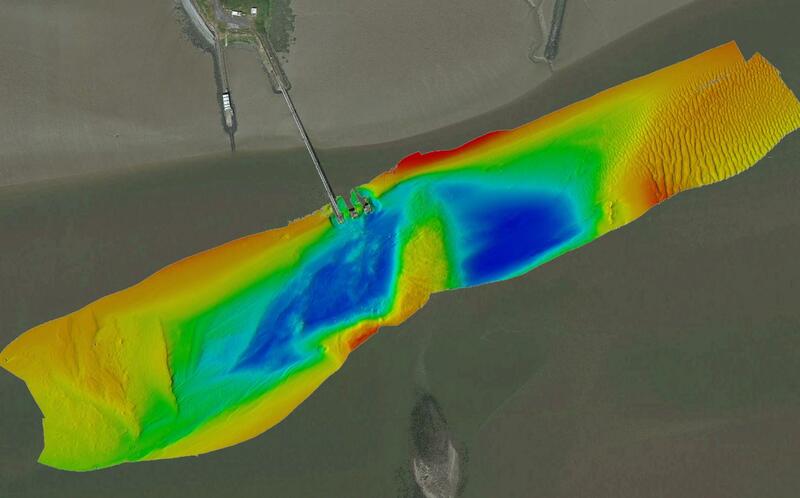 The multibeam survey along the jetty gave a good indication of the water depths in the area and helped to track the shifting sands in a very dynamic part of the River Shannon. Grid model of the multibeam data from the Shannon Jetty.